How much money can you get from YouTube video ads? I was curious about what kind of money a normal person can make out of YouTube video ads. As part of my Program Arcade Games web site I have a lot of tutorial videos. 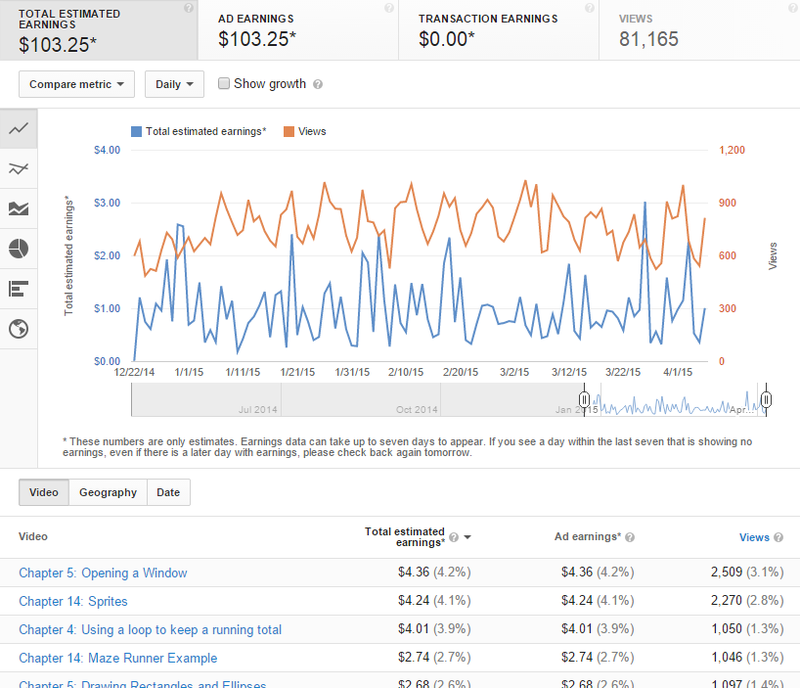 I've got about 2,000 subscribers and a half million views total on my video channel. Was that worth any money? Last Christmas I enabled advertising to find out. You need at least $100 in revenue to get paid. I ended the experiment to see once I got over $100. Quite frankly, $100 doesn't seem worth it to annoy people for 106 days and 81,000 views.